Chrysler has always been about getting the job done in comfort and style – but sometimes, that job comes with dings and dents. 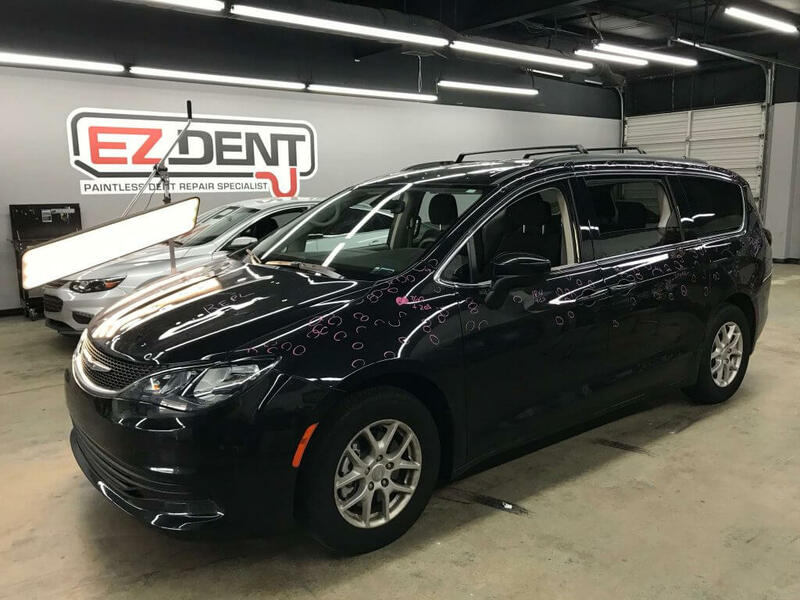 EZ Dent, serving Athens and Metro Atlanta, is a specialist in a Paintless Dent Removal process that can get your vehicle back into good condition. At EZ Dent, we fix the dents in your vehicle – and that’s all. We don’t try to sell you products or services you don’t need, and we don’t run an expensive body shop that would increase the cost of your repairs. As a result, we’re able to offer a faster and more affordable repair process. Our technique repairs dented parts from the inside, not the outside, so your vehicle’s paint job is untouched by the process and ends up looking as good as possible. Our technicians can fix most dents in less than one hour, making it easy to schedule an appointment that works for you. Even better, our service is so affordable that most of our customers don’t need to bother their insurance company (and risk raising their rates) over a simple dent repair. *Disclaimer – EZ Dent is not affiliated with Chrysler or authorized Chrysler dealerships. Whether you’re looking to fix a new Pacifica or a classic Conquest, we have the speed and expertise to get the job done fast and right. For more information about our service, or to schedule a repair at your convenience, contact EZ Dent today.